How can I get more people to talk about my website? By creating great content, that appeals to your audience; and then put it in front of people who have the ability to link to you. SEO (Search Engine Optimisation) is a complicated area. This is the second of two posts on SEO, aimed at the beginner. Last week was on-page SEO, and this week we will discover off-page SEO, including Link Building and Tracking. First you need to understand who is already linking to you and what keywords they are using to do so. Also you need to know who is linking to your competition, as these links may be good for you too. Some keywords are better than others. For instance, a link to your website that says ‘more here’ is not much good, but if they use anchor text with your keywords, that will be much more powerful. 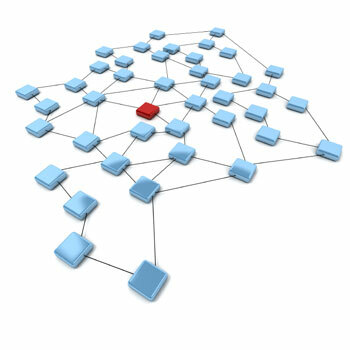 To find out what links are pointing to your site there are many tools to use. These are two that are free, but will cost as you want to use more of the software – Majestic SEO, Open Site Explorer. The reports we give our clients cover links and competitor reports. Start with directories, but no scatter-gun approach works for this, so please be intentional about choosing the right ones. Start with general business directories like Best of the Web and Business.com. Be sector specific, and only look for reputable directories, so check out their authority. Link buying is something that is still used by some SEOs. This is against Google Guidelines, and some like to run the gauntlet, but I recommend not doing this. There is nothing wrong with doing favours for each other, but always have ‘relevance’ in mind. Think of your audience and only link to and from sites that mean something to them. Asking your business partners and suppliers is a good tactic, and content exchange is the best way to do this. By far now, we spend the most of our time on content driven link building. So you produce good articles for other websites to use; this has to be valuable, or it doesn’t get published. Guest Blogs are good way to do this. My Blog Guest could help you. PR can also help, and an emerging avenue is Infographics; these have been very successful for many of our recent campaigns. The best approach is to create good content, which people will want to use and share; like surveys and analysis. The question to ask is, what content can I create relatively easily, and how can I get it in front of people? Ranking is important, but it only gives you an indication. It is not perfect, geography has an impact as well, so ranking should only be used as an indicator, to show momentum one way or another. How much traffic are you getting now? How much traffic did you get last year? How many sales or other conversions did you get? So, spending time getting a high rank for a declining keyword is not good, and finding keywords that people are beginning to use, and then targeting them, is good SEO. I will be writing more ‘beginner’s guides’ in the next few weeks, so let me know what you need. What Digital Marketing advice do you need more of?